What's in my hand luggage bag? 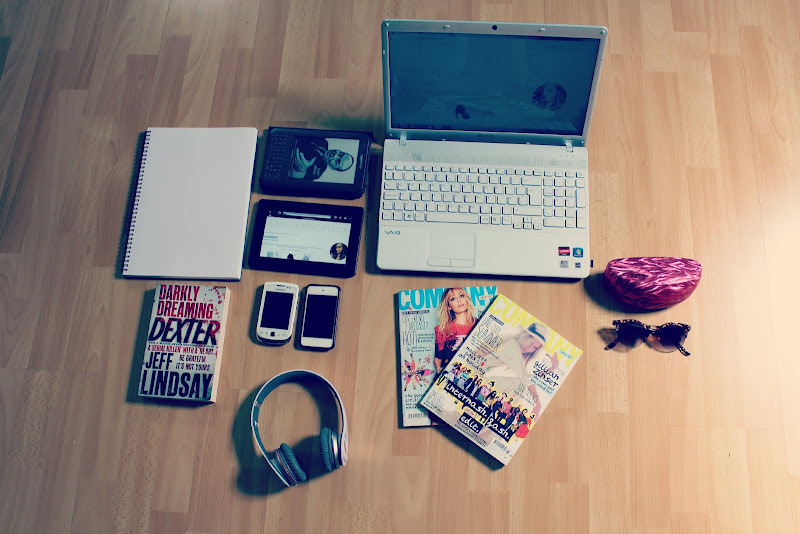 Hello, here's what I took in my hand luggage! I am not one of those girls who takes of their makeup on the plane and reapplies so there is no makeup! But maybe if I was going on a longer flight I would, I haven't been on a long haul flight in ages, I am going to LA in January/February so I will have to see if I take any then! 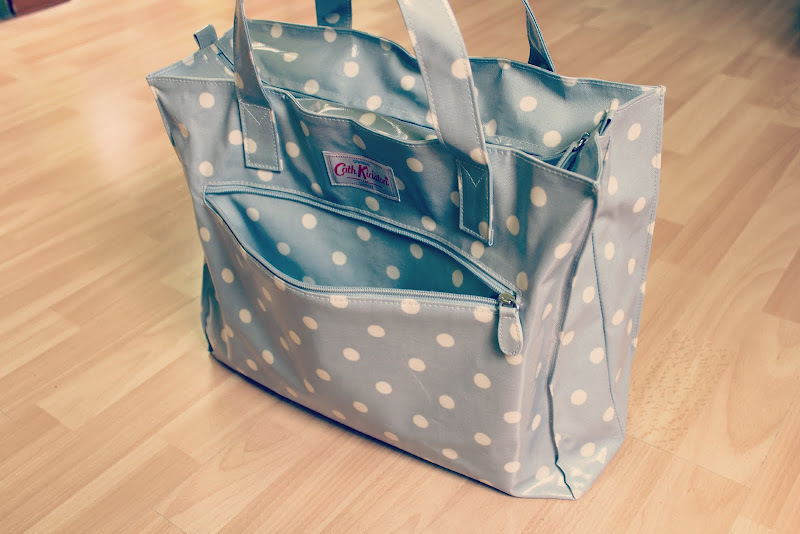 My bag is from Cath Kidston, it is normally £28, but I got it in the sale for £20. It is what I have been using for college and I love it, it fits everything and is so big! My sketchbook - I need to start doing some sketches for my university portfolio! My Amazon kindle - This is my Dads old one and there are a few books on here I want to read. My BB Playbook - This is the Blackberry version of the ipad, I prefer it to the ipad as it has flash. Although the apps aren't as good and it's smaller! Darkly Dreaming Dexter - My favourite book! My Dr Dre Beats Headphones - These came in particularly handy when there was a screaming baby on the plane. She cried the WHOLE way, no joke. She was in business class, which meant other people had paid more money but had a baby screaming in their ears. Haha. Company Magazines - I had two that I hadn't read! My laptop - I have never taken my laptop on holiday before, there hasn't really been a need but I wanted to blog, create my website and have to practice for my theory test! Sunglasses and sunglass case - My sunglass case is from River Island and my sunglasess are from Urban Outfitters! I also had my camera but was using it to take these photos! I love the bag, its so cute! I love that bag! I have been looking for one this semester. I usually use an old soccer backpack but this year I want a nice bag. Hellooo! 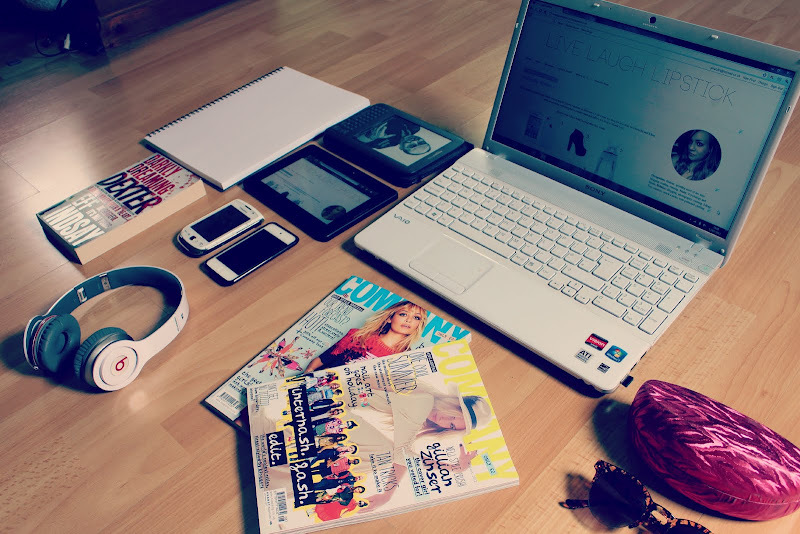 I really lovee your blog! And I am a new follower and I have just nominated you for the Liebster Award! 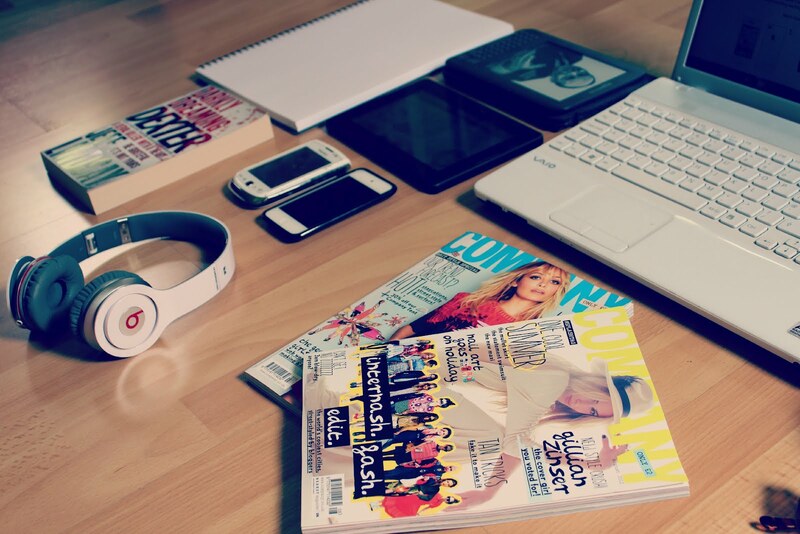 :D WOW! loads fit in that bag! Oh I love Company magazines!